I like Dave Roberts. I really do. 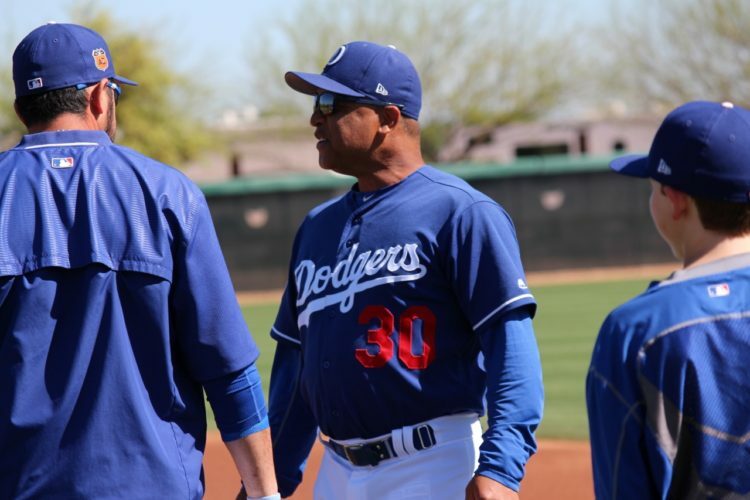 He’s in just his second season as Dodgers’ manager, but he’s probably among the most liked and respected of any person to be the captain of this proverbial ship. And, he’s one of the better tacticians they’ve had at the helm. Roberts’ bullpen management is still a little stuck in the “conventional,” which is the overwhelmingly norm among baseball managers. It’s hard to truly fault him for that. But, if he wants to get to the next level of managing, he’s going to have to venture outside his comfort zone. In the top of eighth inning last night, the Giants had their best hitters coming up in the form of Hunter Pence, Buster Posey and Christian Arroyo. Ross Stripling, after throwing an impressive seventh inning that saw him strike out the side, ran out there for the eighth again as Roberts pushed his luck. 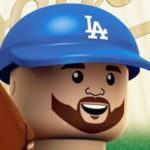 Pence led off with a single that should have fielded by Adrian Gonzalez. A healthy Gonzalez (or Cody Bellinger) would have done so. A wild pitch that Yasmani Grandal couldn’t find allowed Pence to advance to third and scored on a Posey ground ball to Chase Utley at second base. Chad touched on the fact the Dodgers were playing the infield back with a 1-0 lead in the eighth inning. He also said this on Twitter. @DavidYoungTBLA Yeah but like at some point you have to take a bit of risk to keep a lead. I didn’t understand it, either. But back to the management. Stripling needed 13 pitches to get through the seventh inning. Despite getting BABIP’d to death (.413 on the season), he has still been the Dodgers’ most effective non-Kenley Jansen reliever. Normally, I’d be OK with him going back out for another inning, but he had been tasked with throwing multiple innings in three of the previous four games. Only once did he make it through two innings (Saturday against Philadelphia). In two of the remaining three outings, and he was tagged with a loss (in Arizona during that nightmare eighth inning and in San Francisco in extra innings on April 26). What I’m getting at is Stripling could have benefited from a bit of a confidence booster. He went two scoreless innings against the Phillies his last time out, but he also gave up three hits and issued a walk — i.e. it wasn’t a clean outing. OK, so Urias struggled to get through the fifth inning, but he did so without allowing a run. If he hadn’t struggled, he probably would have been allowed to start the sixth inning. Instead, Roberts (correctly) brought in Baez to face Posey, Arroyo, and Eduardo Nunez. It wasn’t a clean inning (one double, one intentional walk), but Baez got through it unscathed. This was unconventional and progressive on Roberts’ part. He should be applauded for it. But my question is: Why would Roberts not employ the same strategy in the eighth inning? The game was, technically, lost in the 11th inning, but it was really lost in the eighth. I know using Jansen in a “fireman” situation in the regular isn’t going to happen terribly frequently (and it shouldn’t), but this was a winnable game against a division rival. These games mean a little more than the others, and there really isn’t a better time to call Jansen to protect a one-run lead in early May. It would be risky to not have that safety net in the ninth inning, but it’s also far more likely the Dodgers are protecting a 1-run lead instead of nursing a tie score. Baseball managers have a long way to go when it comes to using their bullpens in the most effective way that puts the team in the best position to win a game. Roberts might, eventually, get there, but he’s not there quite yet. He needs to think even further outside the box. Bringing Jansen in for a 4-out save isn’t that unconventional anymore. Push the envelope, Dave. I promise it’ll be OK.